Volkswagen has hired Bridge Public Affairs, the Chattanooga-based firm founded by three aides to former Tennessee Senator Bob Corker. The German auto giant opened a factory in Chattanooga in 2011. The facility indirectly/directly supports 16,400 jobs and generates more than $75M in annual state and local taxes, according to a study by Ernst & Young. 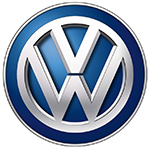 Bridge PA's Todd Womack, Corker's former chief of staff; Micah Johnson, communications director; and John Goetz, legislative aide, handle US Congressional and regulatory outreach for Volkswagen. Republican Corker did not seek re-election in 2018. The Securities and Exchange Commission on March 15 accused Volkswagen of "massive fraud" and lying to investors in the ongoing diesel emissions scandal that affected 11M cars. It seeks to recover "ill-gotten gains." Volkswagen in a statement accused the SEC of "piling on to extract more from the company." The carmaker last month unveiled plans to cut 5,000 to 7,000 workers from its global payroll by 2023 as part of its transformation to become more agile and efficient for the electric and digital era.